Ride-On Tire Sealant. When you can't afford a punctured tire. Read the story below . . .
Star Tron Fuel Additive. For when you use ethanol-gas. Or store your bike. Or all the time. Now my '07 RT horn(s) are LOUD!!! I bought two horns, used existing wiring to install. How I did it. From web admin. Oil filter wrench, BM1276, for your RT. $21.95, including shipping, at this site, as of 6/18/12. 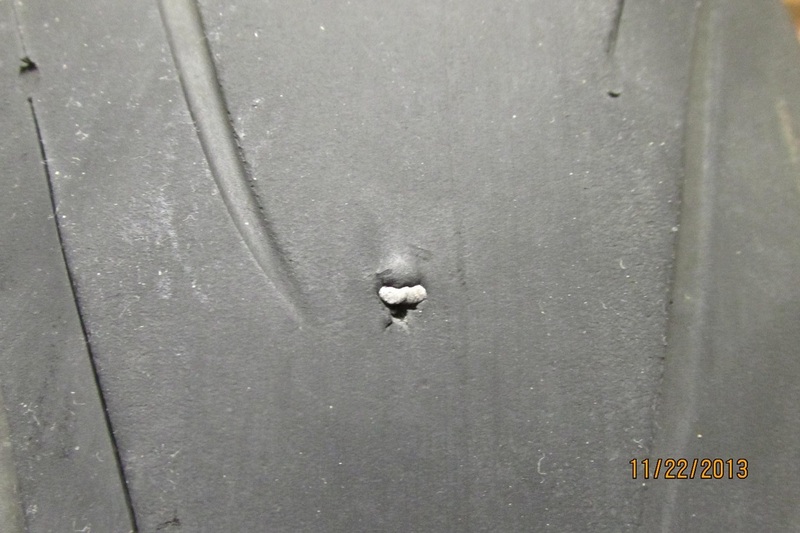 Please see the photos of my rear tire, below. The left tire is the puncture from the inside. 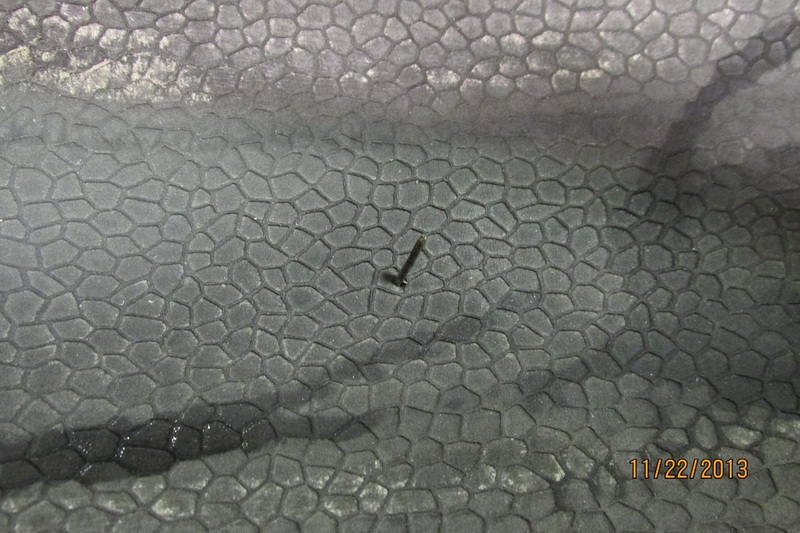 The right photo clearly shows what I ran over and to the credit of product Ride-On it worked just like they said it does. Steve & Eric remember when it went flat on our Boone rally ride to Mt. Mitchell. During our road-side inspection we could not find anything in the low-air tire. Since it held the air fine right after we refilled it I made an incorrect assumption just assuming, since the valve stem cap was missing, it was my wheel centrifugal force overriding the schrader valve spring. I was very obviously wrong! So wrong I even went to a few more rallies riding with it just like this and never had to even add air also!